Home > Hospital Stays > What is an Intensive Care Unit for? An intensive care unit, commonly abbreviated to ICU, is a specialised area of a hospital which provides comprehensive and ‘around the clock’ care to patients who are or have become critically ill whereby their condition is life-threatening or they have received a life threatening injury. 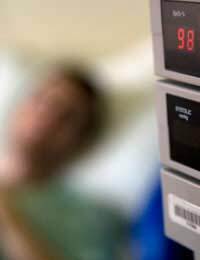 When is Going into an ICU Necessary? Admittance to an ICU can vary depending upon the hospital’s own policies and procedures but where a person is in grave danger of losing their life and they require 24-7 around the clock support in terms of treatment, intervention and monitoring in order to try to stabilise their condition, they will more often than not be placed in an ICU if they are likely to benefit from that level of care. Patients who may not even stand much chance of survival may also be rushed into an ICU as it’s the most appropriate place for critical intervention in a last ditch attempt to save their life. Who Works in an ICU? The staff which can comprise an ICU can total in the region of 30 or even more. Some of these staff will be solely dedicated to working in an ICU environment and will be fully qualified in specialised critical illness care (intensivists), whereas others will be drawn from other medical staff who rotate between departments including the ICU as part of their training. The ‘intensivists’ however will be comprised of specialist clinicians from a number of different disciplines from anaesthetists and nurses to specialised consultants and surgeons who will all work together as a team to assist in patient evaluation, diagnosis, intervention, treatment and individualised care. What Should I Expect If I Visit a Loved One in an ICU? It’s only possible to generalise here as every ICU is different to the next but firstly, you’re likely to have to use some kind of buzzer in order to gain entry to an ICU or to at least get authorised by a member of staff. ICU units vary in size. Some can contain 4 to 6 beds, some have over a dozen but you can be assured that your loved one is getting around the clock care and treatment and is being constantly monitored. If they have been in an accident, you might have to be prepared to see them in a very different state to how you would normally recognise them and they’re likely to be attached to all kinds of different monitors and equipment. However, a nurse will usually be able to tell you what to expect and to prepare you for what you’re about to see. You should also be aware that in many cases, your loved one will often be unconscious and unable to respond but you’ll be encouraged to talk to them as they can sometimes hear what you’re saying even if they might not currently be able to respond. It’s often a good idea to bring someone else along with you to visit as it can be quite upsetting to see a loved one in intensive care. Although the medical team in an ICU will often be very busy, at least one of them will be able to spare some time to give you a thorough briefing on what is going on and what they expect to happen next. The important thing as a visitor is to try to remain strong and whilst some patients never recover from their condition, things can also take a dramatic turn for the better and you should never be surprised to find sudden improvements in a loved one often in quite a short space of time. It’s always a difficult time when you have a loved one in intensive care but the staff will be sensitive to this and are trained to do all they can to assist you and to keep you informed. And, if there’s anything you don’t understand or are confused by, you should feel free to ask and a member of the team will be more than happy to help you.